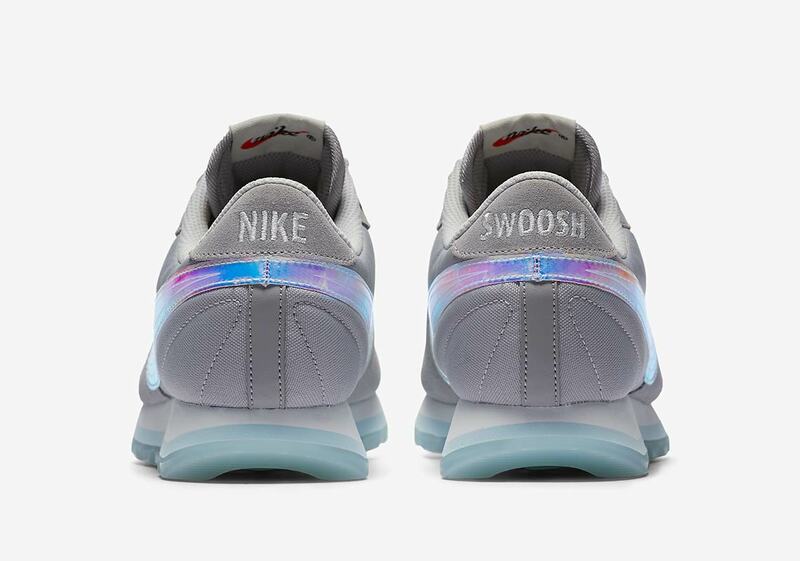 Giant Swooshes Appear On The Nike Pre Love O.X. Running legend Steve Prefontaine, the star pupil of Nike co-founder Bill Bowerman, has had an indelible impact on the world of footwear. Playing a large part in the early development of Bowerman’s first shoes, Prefontaine’s story is interwoven with Nike’s iconic heritage. 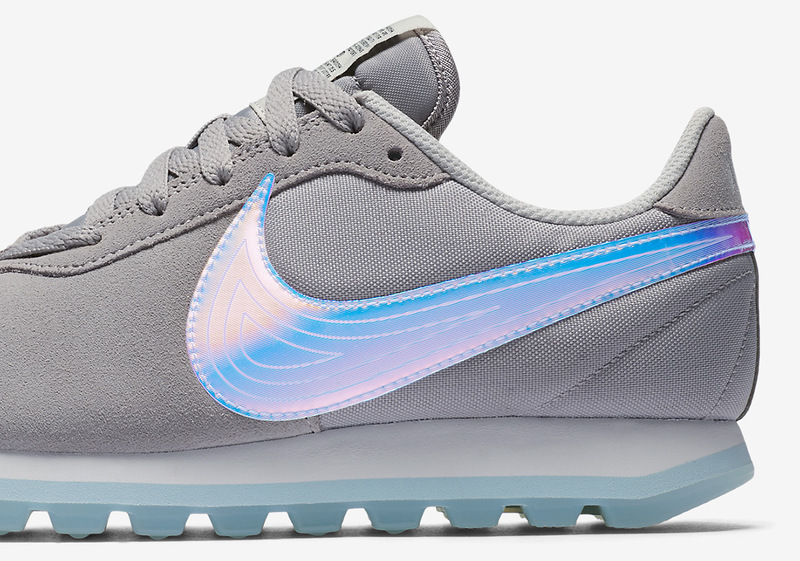 In 2018, his legacy still not forgotten as Nike’s new Pre Love O.X. shoe nods to his accomplishments and influence. 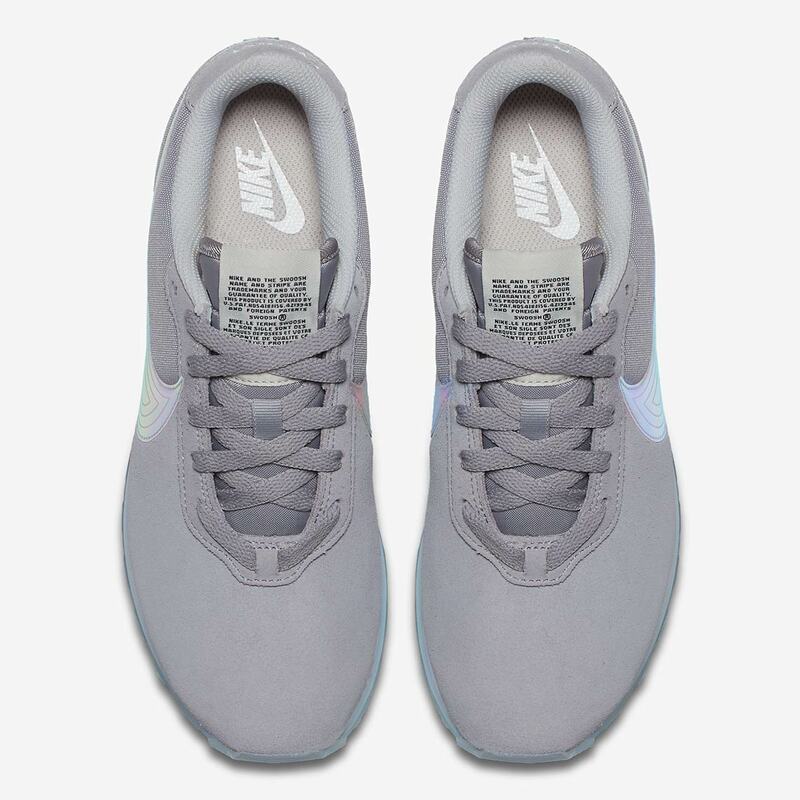 Offering a clean grey suede upper that boasts a shape similar to the Air Pegasus 83, the Pre Love’s main features arrive via its unique details. 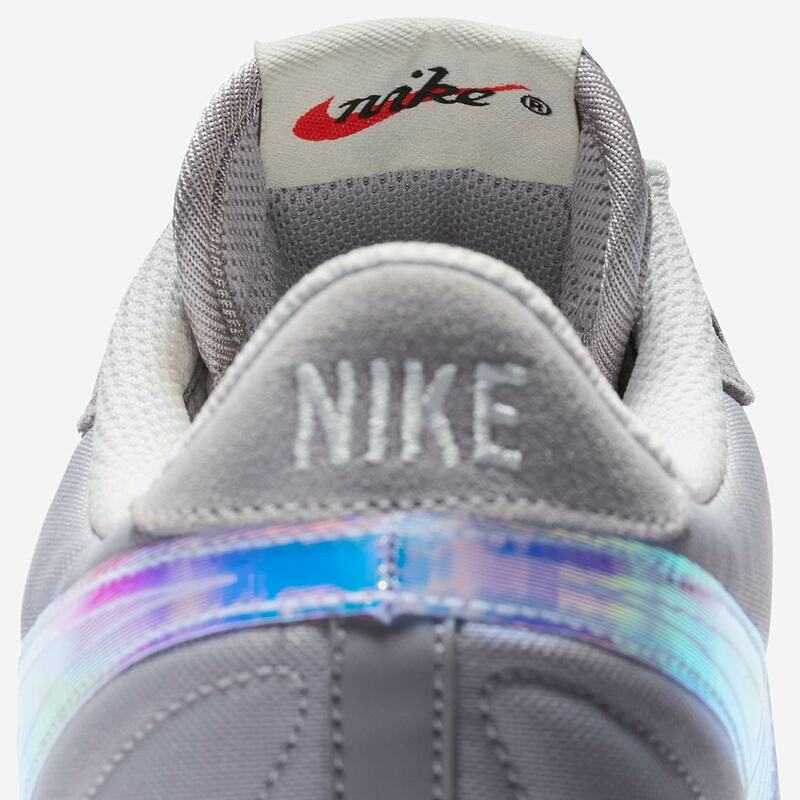 A large holographic midfoot swoosh reaches all the way up to the eyelets/almost all the way down to the midsole, and an inside-out Nike retro tag on the tongue with boldly displayed care instructions provides an interesting contrast to the tonal grey tongue and laces. 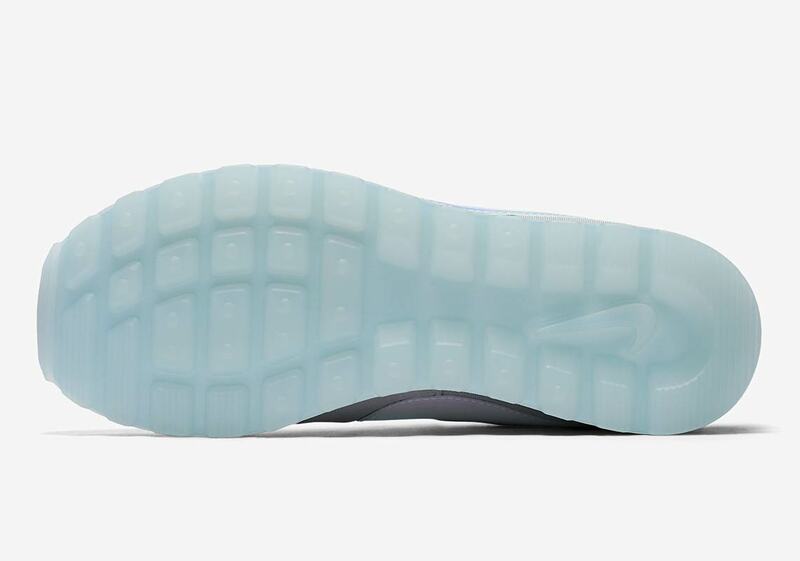 Further details arrive via the “Nike Swoosh” typeface hit on the heels and a layered white and light blue midsole. 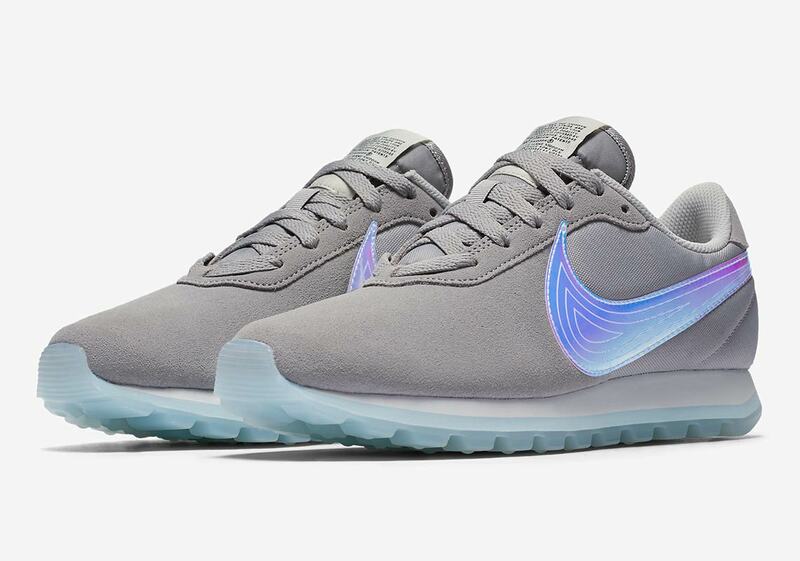 The shoe’s look is completed with a retrofuture semi-translucent blue outsole. 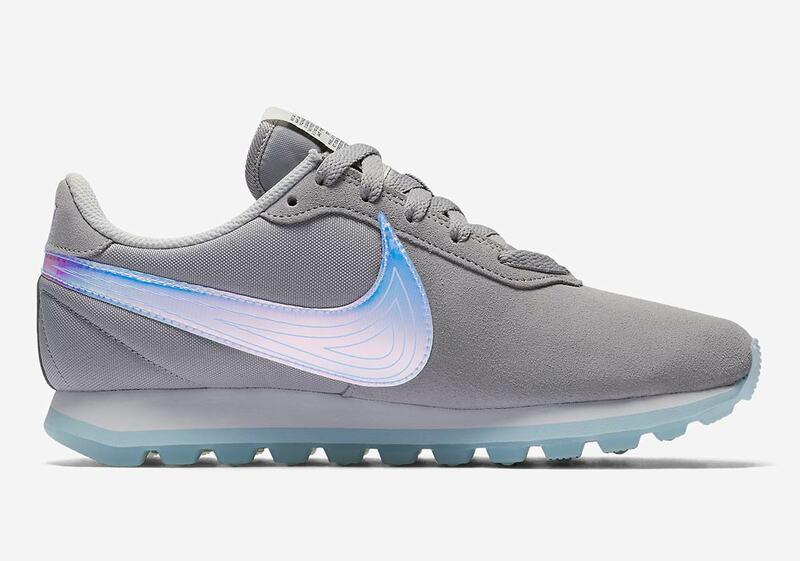 These commemorative Nike shoes are available at The Good Will Out now.